Shuja Nawaz, director of the Atlantic Council’s South Asia Center, and Bruce Riedel, Senior Fellow at the Brookings Institution, provided their insights on U.S.-Pakistan relations following the release of classified documents by WikiLeaks with Jayshree Bajoria, Staff Writer for CFR.org. On July 28, Shuja Nawaz, director of the Atlantic Council’s South Asia Center, was featured on the news program PBS NewsHour, hosted by Judy Woodruff. Nawaz, along with Brookings Institution senior fellow Stephen Cohen, discussed what the leaked Afghanistan war documents reveal about Pakistan’s involvement in Afghanistan, specifically with the Taliban. JUDY WOODRUFF: And for more on what the leaked documents reveal about the Pakistani government’s relationship is with the Taliban and what they might mean for relations with the United States, we get two views. Stephen Cohen is a senior fellow the Brookings Institution and the author of numerous books about Pakistan, India and South Asia. And Shuja Nawaz is the director of the Southeast Asia Center at the Atlantic Council. He’s a former journalist and author of a book about the Pakistani military. JUDY WOODRUFF: Stephen Cohen, to you first. What about what the ambassador said, that relations between Pakistan and the United States government are improving, despite this WikiLeaks episode? STEPHEN COHEN: I think they’re getting better. You have a government in Pakistan now that is possibly the best government Pakistan has ever had. That’s not saying very much, because what you have in Pakistan is a country that is simply coming apart at the seams. The state has been dismantled by the military, among others. But I think he’s right that there’s close cooperation between the two countries. Our interests in Pakistan are not only in Afghanistan, but also in Pakistan itself. And I think that’s an important point. JUDY WOODRUFF: And when he says the government of Pakistan is not officially in any way supporting or aiding the Afghan Taliban, what about that? STEPHEN COHEN: I think question is whether the government of Pakistan is capable of not supporting the Taliban, simply looking the other way when they come over. There’s a lot what I call the ISI alumni association, a lot of unofficial cooperation with the Taliban from Pakistan. So, I think that the government may not have the capacity to actually stop the Taliban. And they don’t have an interest in stopping them. They are fighting both sides of this war. They are supporting the Americans, but they’re also supporting the Taliban, because they want to make sure, when there’s a peace settlement in Afghanistan, that their interests are protected. JUDY WOODRUFF: So, Shuja Nawaz, you heard what the ambassador said. He said there’s no official support, but he also acknowledged that there may be private interests who are supporting. How do you square the two things? SHUJA NAWAZ, Atlantic Council: Well, it’s always existed that way in Pakistan. JUDY WOODRUFF: And does that give the government the ability, in effect, to deny that they’re supporting? How does that work? SHUJA NAWAZ: Well, there is no evidence of official support. And the government obviously wouldn’t wish to be involved in any such activities. JUDY WOODRUFF: Steve Cohen, we did hear the ambassador say that the government views these activities as illegal, and he said, we have gone after individuals who have been engaged in this. STEPHEN COHEN: It’s the question of the capacity of the Pakistan government to stop what is patently illegal activities. And it’s a weak capacity. In Punjab, for example, there are groups that are raging against the state. And the police can’t do anything about them. In the Northwest Frontier, it’s even wilder. So, the Pakistan government has lost much of the capacity to actually enforce its own law. He compared this with the United States, but maybe some parts of the South 50 years ago, but it’s not like America now. STEPHEN COHEN: I think this is a work in progress. I think, at the top, the change is there. Certainly, Haqqani’s party and the prime minister and the president of Pakistan all want a change. And I think there may be — there’s good evidence that the head of the military want a change. But whether they can turn the ship, it is like moving an ocean liner. It’s hard to just simply change policy on a dime. We have trouble doing it ourselves, but I think Pakistan has less capacity than almost any other state in the region, except Afghanistan. JUDY WOODRUFF: Shuja Nawaz, help us understand the threat that Pakistan feels from India vs. the threat it feels from the Taliban, and what may be left after the United States leaves Afghanistan. SHUJA NAWAZ: I think the Indian capacity on Pakistan’s eastern border is always the one that threatens Pakistan, something like nine corps poised against Pakistan, well over 30 strike airfields within reach of Pakistan. JUDY WOODRUFF: But connect the dots from that, if you would, to the Taliban in Afghanistan. SHUJA NAWAZ: The Afghan Taliban, as Steve said, really represent more of support for the Pashtun elements in Afghanistan. JUDY WOODRUFF: Steve Cohen, how does all this complicate what the United States is trying to do in Afghanistan? STEPHEN COHEN: Well, half of us are fighting a war in Afghanistan in Afghanistan, but there’s also consideration of the impact of the war in Afghanistan on Pakistan. And my own view is that Pakistan is by far the more important of the two in the long run. It’s a nuclear weapons state. It’s a major state that is sort of losing integrity as a state. Afghanistan has its problems, will always have its problem. Pakistan is a more serious problem. But I don’t think we have been able to unite this even within our government. I think we’re sort of bipolar disorder. Both the Pentagon and the State Department have different bureaus and different agencies dealing with Pakistan and India, for example. I don’t think we have a regional approach to the region. We don’t have an integrated approach to it. JUDY WOODRUFF: And do you think these WikiLeaks documents that have come out in the last few days — what’s their bearing on that? STEPHEN COHEN: No, I think they’re really irrelevant. JUDY WOODRUFF: Shuja Nawaz, how do you see the effect of this WikiLeaks episode? SHUJA NAWAZ: I think they add a lot of noise and confusion to the dialogue. JUDY WOODRUFF: Is there anything the United States can do to counter what you have just described? SHUJA NAWAZ: I think the U.S. needs to stay the course. The fact that it is now providing medium- and long-term assistance to Pakistan, once that assistance starts arriving, will convince the people in Pakistan that the U.S. is committed to the region. It will not leave the region in a precipitate manner. That’s critical. JUDY WOODRUFF: And a quick last word. STEPHEN COHEN: I’m less concerned about Pakistani attitudes towards the United States, and more concerned about the integrity of the Pakistani state. I wouldn’t mind it if they hated us, as long as they were able to take care of their own business and run a normal state. And I think that’s the longer — longer, more deeper process we face. JUDY WOODRUFF: Tough questions, all. On July 28, Shuja Nawaz, director of the Atlantic Council’s South Asia Center, was featured on the news program PBS NewsHour, hosted by Judy Woodruff. Nawaz, along with Brookings Institution senior fellow Stephen Cohen, discussed what the leaked Afghanistan war documents reveal about Pakistan’s involvement in Afghanistan, specifically with the Taliban. Video of the segment can be viewed here and below. Despite a global trend toward increased economic interdependence, trade between India and Pakistan, two historically tense neighbors, remains unnaturally small. The Indian economy and trade continue to expand outward, to the United States and China, while Pakistan looks to trading partners like Iran and China for assistance with urgent needs in the energy sector. Improving the economic relationship between the two South Asian neighbors could produce numerous gains for both countries, but government policies on both sides continue to restrict bilateral trade below natural levels. Under freer economic conditions, trade between India and Pakistan could increase from the current $2 billion a year to a conservative estimate of $42 billion annually, which could play an effective role in increasing economic prosperity in both countries and the region as a whole, while also contributing to its stability. 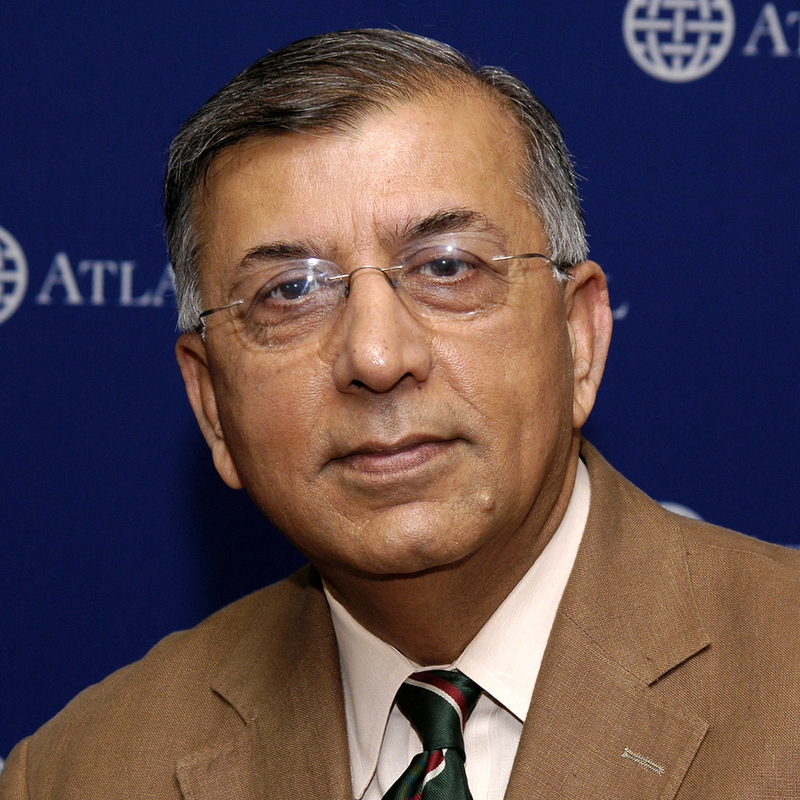 On July 29, the Atlantic Council’s South Asia Center addressed these questions with a panel discussion featuring Mohsin S. Khan, Senior Fellow at the Peterson Institute for International Economics, and Surjit Mansingh, Adjunct Professor at American University’s School of International Service. Dr. Khan discussed the nature of trade constraints in South Asia and offered suggestions for short- and long-term measures that could be taken by both governments to liberalize trade between the two countries. Dr. Mansingh provided a political perspective on this topic and offered insights drawn from her expertise on India’s foreign policy. The question and answer session covered such diverse topics as the rise of online consumer markets, the need to reconcile security and openness in both countries, and the role of American and European companies in the region. The discussion was moderated by South Asia Center Director, Shuja Nawaz. Shuja Nawaz, director of the Atlantic Council’s South Asia Center, was recently featured on the television program CrossTalk with Peter Lavelle, broadcast on RussiaToday TV. Nawaz discussed the current state of the U.S.-Pakistan relationship, and how this relationship is vital to winning the war in Afghanistan. Nawaz was joined on the program by Dan Qayyum, analyst at the Pakistani alternative policy institute and news-service PKKH (PakistanKaKhudaHafiz.com), and Anatol Lieven, a Senior Researcher (Bernard L. Schwartz fellow and American Strategy Program fellow) at the New America Foundation, where he focuses on US global strategy and the War on Terrorism. Lieven is also Chair of International Relations and Terrorism Studies at King’s College London. 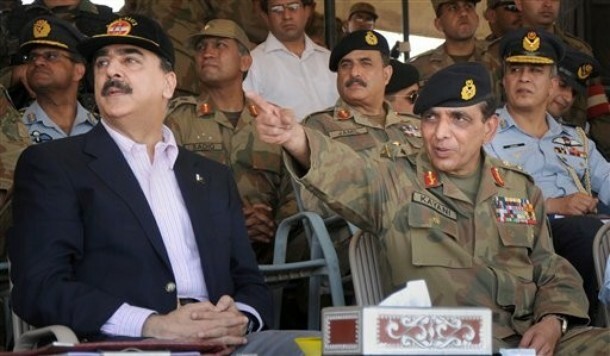 In a timely though perhaps overly dramatic move, Prime Minister Yousaf Raza Gilani of Pakistan announced last night on national television the extension of army chief General Ashfaq Parvez Kayani for another three years beyond November this year, when his first term was to end. Timely, since any further delay in announcing it would have led to further speculation and confusion about what was to happen. Dramatic, since the normal manner would have been a press release from the Inter Services Relations Directorate. But then this is Pakistan and anything to do with the army chief makes headlines. And this announcement further strengthens the view that the army continues to be a key player even as democracy struggles to establish itself in a country that has been ruled for more than half its life by the military. This is the first time a civilian government has extended an army chief for a full term. In the past, extensions have been either short, given by military rulers to themselves or, in the case of the first military ruler, Ayub Khan, to an ineffectual army chief with no independent power base. Benazir Bhutto sought to break with tradition when she offered an extension to General Abdul Waheed in 1996 but he refused it. Kayani took pains to convey the impression that he would not seek an extension nor negotiate for one. It appears that the government made him an offer he could not refuse. Kayani is widely regarded as a quiet, professional soldier, who has helped transform the army in his tenure from a largely conventional force to one that is effectively fighting an irregular war inside its own borders. His new tenure gives him a rare opportunity to continue the transformation of the Pakistan into army into a professional body ready to fight insurgencies and conventional enemies equally well. He maintains a low public profile and is seen as a thinking general. 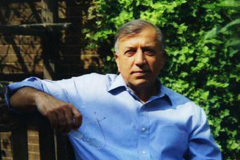 Compared with his predecessor, General Pervez Musharraf, who was tempestuous and rarely had time to read, Kayani is deliberate. From the outset, he stated a policy of keeping the army out of politics, a policy that he tried to maintain even while selectively intervening in political squabbles as a referee. In recent months he has played a key role in moving the United States-Pakistan strategic dialogue onto a higher plane in terms of content and action. While many inside and outside the country have welcomed the move as providing continuity and stability at a time of a raging insurgency and the rise of militancy inside Pakistan, others view it as a retrogressive move away from institutionalizing the selection and promotion system by linking it to personalities. Above all, it is a political move since the final decision was made by a politician. The United States has studiously avoided taking a public position but conversations with U.S. diplomats and military officials over the past few months indicated their deep interest in the future of General Kayani and a noticeable desire to see him remain at the helm of affairs in Pakistan. Yet Kayani on his part has showed no signs that he is or even is willing to be painted as "America’s choice." What are the implications of this extension? In the near term, it opens up the possibility of a routine promotion for the next senior most army general to the Chairman of the Joint Chiefs of Staff Committee when that position falls vacant in October 2010. There may well be an opportunity also to elevate one of the other service chiefs, from the air force or navy, to bolster inter-service cohesion. Within the army there has been some talk of a Vice Chief. This may make sense for such a large army but runs against the grain, since the Pakistan army has a steep pyramid structure. Authority rests in one man: the chief. When I suggested to my own brother, General Asif Nawaz, when he took over as Army chief in 1991 that he appoint a deputy chief to help manage the administrative details of his work, his reply was crisp: "Command is indivisible!" While not supported by historical evidence, this mantra has taken hold in Pakistan and was echoed by General Pervez Musharraf for different and perhaps political reasons, even though he appointed a Vice Chief of the Army Staff. But Musharraf made all the important decisions himself. In the longer run, the career paths of many senior generals will be affected by this decision. Nearly a dozen operational three-stars (Lieutenant Generals) will retire before Kayani’s new term expires in November 2013. These include a number of very bright and highly trained officers whom he has promoted to three star rank in April this year. As a result, the age and service gap between Kayani and his corps commanders in another two years will be quite large, as he digs down into the ranks order to promote new commanders. The nature and quality of the exchanges between him and his commanders will necessarily be affected, as was the case for General Zia ul-Haq and General Musharraf before him. Few junior officers will be willing to challenge the views of such a senior chief. Yet, he has exhibited a certain collegiality in his exchanges with fellow officers. If he can maintain that approach it will serve him in good stead. Politically, the country will of necessity see another election during Kayani’s extended term, unless things deteriorate so dramatically internally or in relations with Pakistan’s fractious neighbors that the army, under public pressure, mounts another coup. Here, Kayani will fight against historical precedent: in the past, an extension or the dismissal of a chief and replacement by a new chief invariably led to a coup, as mutual suspicions between the civilians and the military was compounded. A positive spin-off from the extension in the eyes of some may be that a slew of Musharraf promotees will also retire between now and 2013 reducing the tension between them and others vying for the next rung. Some of these are strong professional officers but the taint of having been favored by Musharraf may remain. After all, Kayani too was a Musharraf choice. A major advantage that might accrue is that the certainty provided by the new term for the army chief will allow the civilian government to become confident in asserting itself in policy matters, knowing that the army chief will not overtly intervene in its affairs. This may help strengthen political institutions. At the same time, civilians must resist the temptation to turn to the army to lead the battle against militancy (a national endeavor not purely a military one) or to arbitrate differences on the political field. These three years should also give Kayani time to assess the present Higher Defense Organization of Pakistan and perhaps come up with a more devolved structure for the army and a better system of command and control at the center. One possible scenario may include regional and centralized commands at four-star rank, appointed by the same authority who selects the service chiefs, and a Chairman of the Joint Chiefs with real powers to regulate all the services while acting as the main military advisor of the government. This approach has been taken by the United States and many other modern militaries, so it would hardly be unprecedented. Without having a stake in the chairman’s position in 2013, Kayani may be able to provide a dispassionate plan for the government to decide, well in advance of the next round of promotions in 2013. Any proposal that he presents as a disinterested party will have credibility and will also help override the parochial concerns of the army relative to the other services in Pakistan. All this will be against the backdrop of Pakistan’s traditional rivalry with emerging superpower India to the east. Kayani would be key to any effort to reduce hostility and to open the eastern border to trade and traffic. He has already played a role in opening up to Afghanistan and perhaps positioning Pakistan to play a role in the reconciliation efforts of Afghan President Hamid Karzai. The United States, as a key ally, must also understand that the army chief in Pakistan will think foremost about Pakistan’s interests. To the extent that they have an interlocutor who knows them well, from his extensive U.S. training and contacts, the U.S. will benefit from a clear dialogue. Removing years of mistrust will take a major and longer-term effort. Officer exchanges will help. But most important will be steady provision of the best possible equipment to the Pakistani forces in their battle against insurgents and militants, with no underlying threats or overhanging waivers accompanying those transfers. That is what trust means. Key to this entire enterprise is the man who will continue to head the Pakistan army beyond President Barack Obama’s first term and into the term of the next elected government in Pakistan: General Kayani, truly now a man for many seasons. This essay was originally published at Foreign Policy’s AfPak Channel as "Kayani, a man for many seasons." Photo credit: AP Photo. The paper can be viewed here. It is also set to appear in a later issue of the Journal of Strategic Studies. The Pakistan army elicits many concerns about terrorism, nuclear proliferation and the coherence of the state. However, very little is actually known about this institution. This essay mobilizes unique data to address one important facet: the army’s geographical recruitment base. The authors find that the Pakistan army has been successful at expanding the geographical recruitment base while some groups (namely those who are native to Sindh) remain highly under-represented. They also find that the officer corps is increasingly coming from urban areas. The paper concludes with a discussion of the implications of these important shifts subject to the limitations of our data. Shuja Nawaz, Director of the Atlantic Council’s South Asia Center, spoke with Renee Montagne on NPR’s Morning Edition to discuss relations between Afghanistan and Pakistan, and what it means for U.S. efforts in the region. Shuja Nawaz participated in an important Track II meeting in Copenhagen on confidence building measures on nuclear issues between India and Pakistan under the aegis of the Ottawa Dialogue, of which he is a founding member. Practicable suggestions from this meeting are being presented to both governments now. The establishment of a jointly acceptable lexicon of “nuclear terms” applicable to India and Pakistan. On the basis of a common understanding of the respective alert statuses, all nuclear weapons should be kept on the lowest possible alert level during peacetime. The setting up of Nuclear Risk Reduction Centres to be used initially for providing notifications for agreements already in force and to provide for further discussion on nuclear issues. The inclusion of cruise missiles in the existing pre-notification agreement on missiles established in the Lahore Memorandum of Understanding. The members of the Ottawa Dialogue also expressed the view that the upcoming meetings of senior politicians and officials from India and Pakistan provide a timely opportunity to resume official discussions on practical measures to promote strategic stability between the two countries.